joy magnetism: What IS it about a man and his horse? 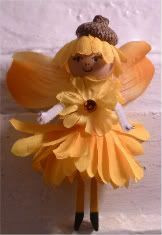 I picked this supercute faerie nymph magnet (with her supercute acorn hat and flowery petally outfit!) at one of the booths at the 26th Annual Medieval Festival up at Fort Tryon Park today. Note - this is not to be confused with the Renaissance Festival up at Tuxedo. The two epochs came and went, back to back - Medieval times being from 500 - 1450 and the Renaissance from 1450 - 1600, so I'm not entirely too sure why there are two different fairs. Feels like the same food, the same dress, and even the same knights, dragons and faeries, really. My favorite part of both fairs - besides all the bad fair food that I so love to eat - are jousting tournaments. There's something awesome and visceral about watching two commanding knights riding their trusty steeds hellbent for leather toward each other, with bloodlusty crowds cheering them on. So what if the audience sat on metal bleachers cheering and jeering to the sounds of a mic'd up medieval emcee making them do the wave? That aside, you could almost imagine being transported back in time to when the knights ruled the land (across the water, obvi, not Fort Tryon in the Bronx), and fought for the love of kings, kingdoms and fair ladies. Plus, who doesn't love a strong knight with long flowing hair sitting astride a gorgeous horse? Hi. Former romance editor. You can't find a bigger fan at a jousting tournament.